Things have been pretty busy around here for the past couple of weeks. I don't like the feeling of being pulled in about 20 different ways! Luckily, things should start slowing down...in a month! It came at a time when I needed the Lord to speak to me...and speak to me, He did! Sister asked me to be on the RCIA Team this year, so I accepted. 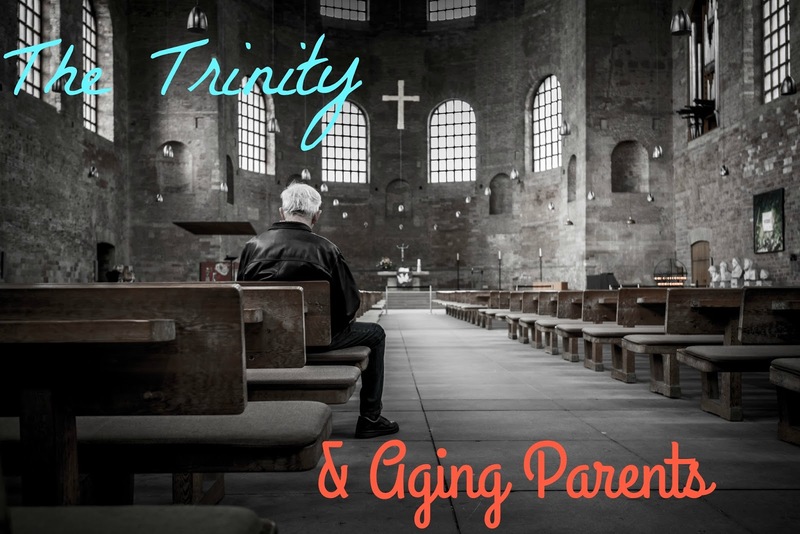 This week, our topic was The Trinity. During the presentation, the presenter spoke about who she prays to more: Father, Son, or Holy Spirit. Sister said that, while on a retreat, she had to write an autobiography using the Trinity. She reflected on her life and saw each part of the Trinity being stronger in different parts of her life. Yesterday, as I went through my day saying little prayers, I paid attention to which part of the Trinity I was naturally praying. Try it; it not only gets you to pay attention to which part you're praying, but it will also help focus you on your prayer. During the RCIA session on the Trinity, I mentioned that the Holy Spirit is so hard for me to grasp. The Father and the Son are personified, so they're a lot easier; but the Holy Spirit??? Definitely tougher. As I drove home Wednesday night, I had on Busted Halo from the Catholic Channel, and Father Dave talked about the Holy Spirit. Then, when I opened my emails Thursday morning, there was a message from Heart of Mary Women Fellowship with the subject Gifts of the Holy Spirit: Counsel. Last Thursday, I hand-wrote a whole blog post about seeing your parent(s) age and having to depend on their children. I never got around to posting it, which is probably a good thing seeing how I was full of anger and resentment. I have 9 siblings; 3 of whom don't live in the immediate area. For the past couple of weeks, my 91 year old dad has needed help, and during the week, for various reasons, it's been down to just 3 of us helping out. That dwindled down to 2 when 1 of my siblings had to go out of town (couldn't be helped), and then down to just myself a couple of days due to some dental procedures. I lived away from my hometown for 20 years, then decided it was time to come home. One of the reasons I wanted to move back was because my parents were aging, and I wanted to be close so I could help out when/if needed. I had to remind myself of that over the past couple of weeks when I felt I was being pulled between daddy, my husband, and work. I just mentioned that I moved home after 20 years of living in 2 different states. We ended up buying a house that is just up the street from my childhood home, the home where my father still lives. Yes, I knew what I was doing! I wanted to be there for my parents should they need me. For the most part, they haven't needed anything. My mom (rest her soul) would call every now and then and need help with trying to figure out why the volume on her cell phone ringer was down (it was always because she had accidentally turned it down/off while holding it! ), but for the most part, they didn't need me. I think it gives daddy some comfort knowing that I'm just up the street and can be there in 2 minutes or less if he needs me. So, yeah. Seeing your parents age is very difficult. My big, strong daddy is now having to ask for some help until he recovers from what was going on with him. He's getting there; it's not as fast as he would like for it to be, but he's getting there. And I'm glad I can be there for him. I agree! It's hard to wrap our heads around the Holy Spirit because our experience and understanding is so tied to our physical bodies and physical senses. (I have one child who as a toddler pointed at all the Halloween decorations in stores yelling "Holy Ghost! Holy Ghost!" which just goes to show you.) One thing that has helped me is to keep a written journal of the times I've felt His influence guiding me, prompting me, or making me feel joy. When I do this, I also am surprised at how much I take Him for granted! Keeping a written journal for those times is an excellent idea...if I could just stop & remember to do it! 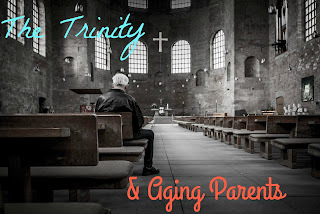 It's hard, but it is also a blessing to be able to care for aging parents. I lost my dad to cancer when he was but 63 and my mom to cancer when she was barely 65. I sometimes hurt when I hear people talking about caring for their aging parents. I wish I had that privilege, though watching someone you love decline from aging is very similar to watching them decline from horrid disease. You still feel helpless. I did care for my grandmother, who lived just past 92. My mom wasn't here to do it, so it fell to me. That's a story for another time. It's really a blessing that you are right down the street. Amen. Oh, Terri! I've never thought of it that way. I certainly consider it an honor & a privilege to be helping my dad out.